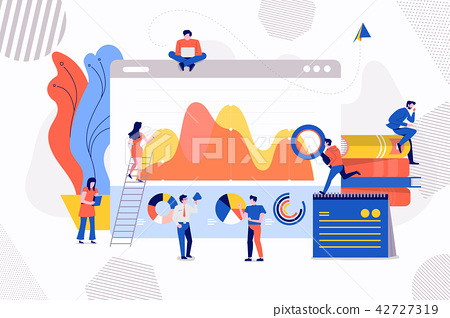 Illustrations concept businessman analysis data of marketing via graph and chart. small people discuss. Vector illustrate.